It was magical! It was exciting! It was record-breaking! 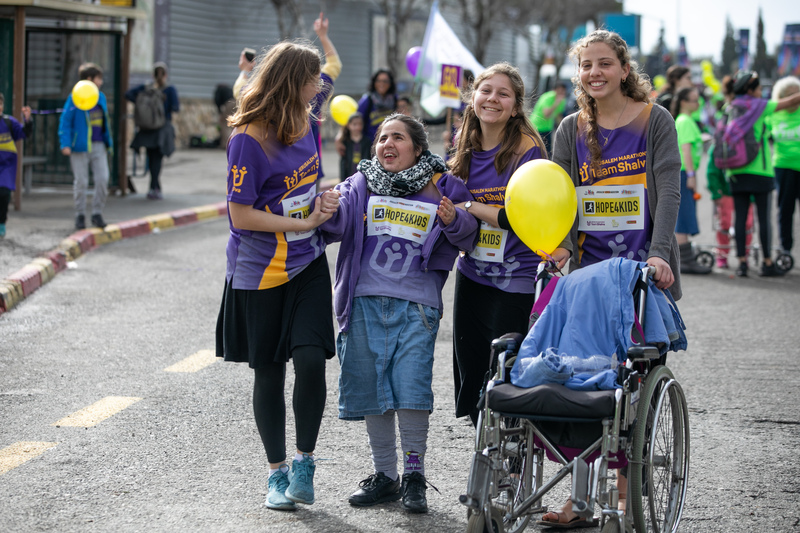 This year, for the tenth year, Shalva led the Jerusalem Marathon with the largest contingent. 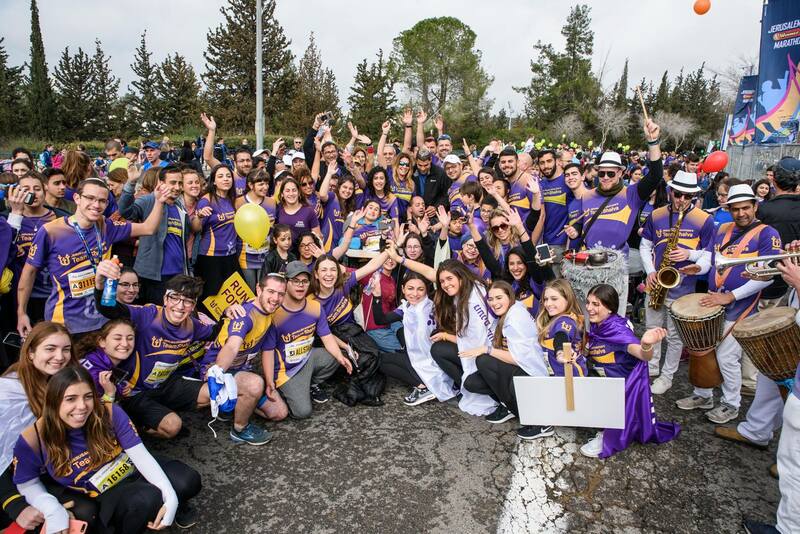 Some 650 runners came from across the world, joining forces with some 1000 runners here in Israel, to represent Shalva and run for hope, love, dignity and opportunity. 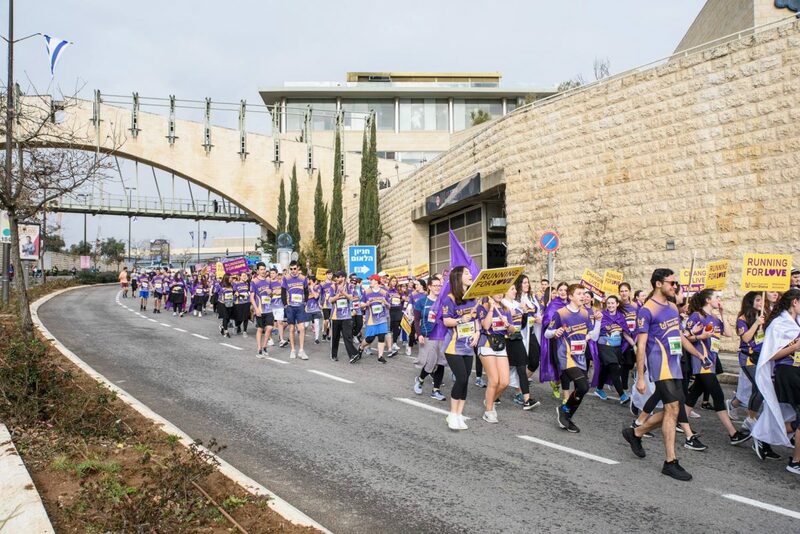 The runners ran in all the various marathon tracks, but most noticeably in the community run, initiated by Shalva in the first year of the marathon. The community run, the shortest of all the tracks, is designed for families, people with disabilities, those for whom a lengthy run would be too difficult, and just for those who want to join in the fun and demonstrate their solidarity. 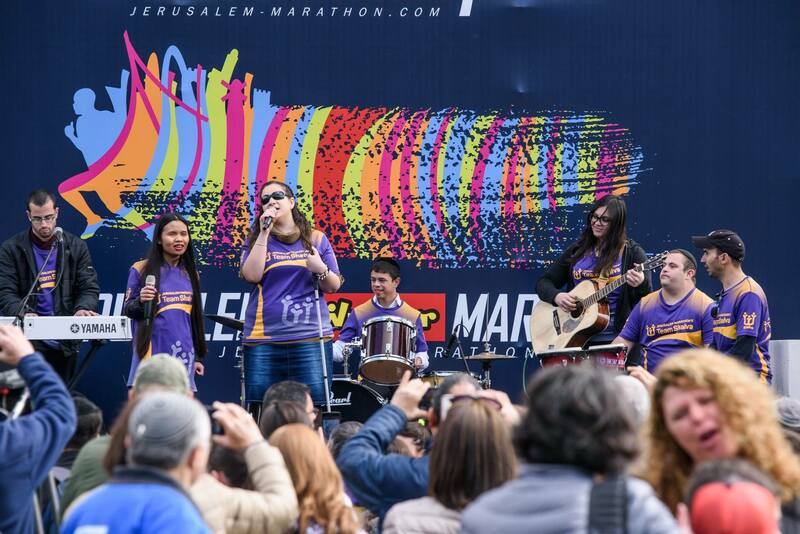 Leading Team Shalva was the Shalva band, and joining them were over 300 runners from MADA (Israel’s Red Cross), the police, fire department, air force and schoolchildren. 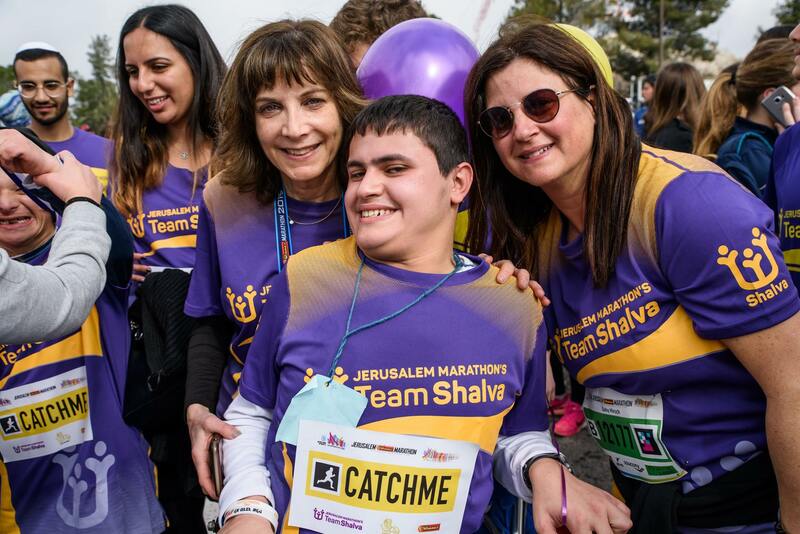 The excitement at Shalva began the day before the marathon, as all the runners began arriving from abroad. 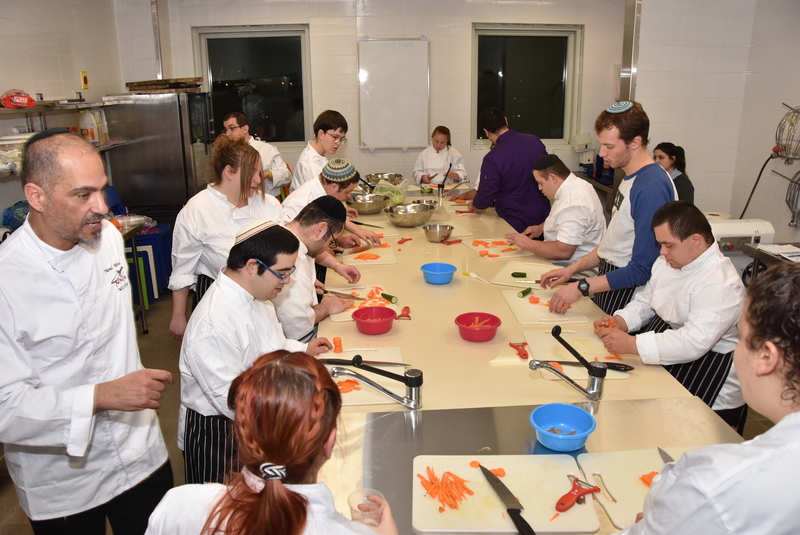 Runners were treated to a tour of Shalva, and that evening by a rocking pasta party, featuring the Shalva Band. 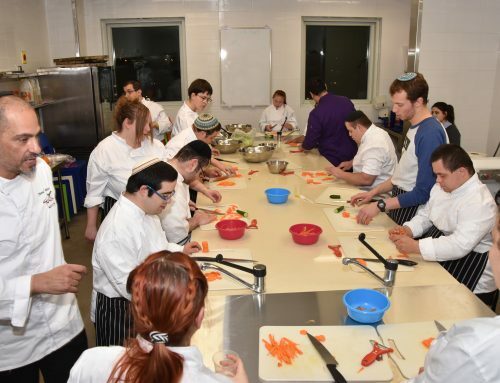 After the marathon on Friday, runners went on to a victory party, followed by an inspiring Shabbat together. It was an unforgettable experience.